I have heard statements like this more times than I care to mention. Statements like this expose the hardness of heart that is too common in our churches. Somewhere along the way as we conform to the image of Jesus we occasionally forget the pain and hardship our past sinful choices brought to the children. Remember, it is not just about the ‘widow’, but about the child not having a father in the home and the devastation this causes in the soul and life of the fatherless. The above statement has some truth to it, for example out of the almost 10 million single mother households in our country nearly 49% have never been married. Additionally out of the 51% that have been married less than 10% comprise widows. This does not, however, change God’s stance towards a woman with no man to be pastor, provider and protector of her and her children. The Heavenly Father remains their Champion and Protector and He calls His people to be the same. Let’s put this conversation in perspective. Widows are mentioned in the Scripture more than 80 times and the Fatherless over 100 time and usually they are mentioned together. Looking at the Scripture we see God’s stance as the ultimate champion of widows from the writings of Moses to Jesus’ admonition to the Apostle John while on the cross to care for his widowed mother. When God gave Moses the Law it was made clear that the Nation of Israel was given specific commands of how to care for both widows and the fatherless. They were to feed and protect them, preserving their allotted land until the oldest male heir could manage the land himself. In Isaiah, God tells the people that one of the major reasons they are being sent into exile is because the blood of the fatherless and widow is on their hands. Rather than protecting these vulnerable people and returning the land when the fatherless boy became of age, they exploited and enslaved them. God tells the Israelites it would be better if they stopped all the sacrifices and feasts He commanded them to observe and championed the fatherless and widow instead (Isaiah 1). Their failure in this way caused their exile from the Promised Land. It is obvious God takes this command extremely serious. As we move into the Church age both Paul and James clearly explain the role of the Church in the lives of widows. They were to be cared for and honored by the church in which they hold a special role of caring for the younger widows and helping to spiritually guide the woman in the Church. Since the Church is the body of Christ it is incumbent of us to care for them as God Himself would. To not care for the widow and the fatherless is to stand in direct opposition to God. God’s clarity on the needs of the Widows and Fatherless are much more than financial. The poverty issue is real. But, He understands the hurt, pain, anger and dispair that exist from the family structure being broken no matter what the reason. 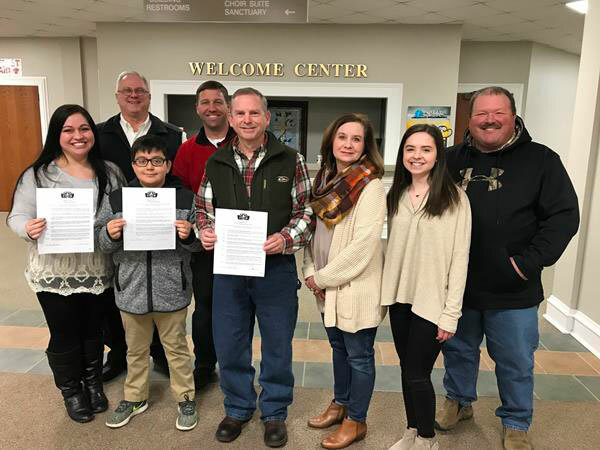 Front Row left to right: Single Mother Laura, Field Buddy Gabe, Mentor Father Don holding Year 1 Signing Ceremony commitments with Don’s wife and daughter, the Church Champions and Family Pastor of Fairview Baptist Church in Columbia MS gathered with them in full support. Fathers in the Field is not just about equipping the Church to raise Mentor Fathers for fatherless boys, but about helping congregations fulfill the mandate to be champions of the fatherless and the widow. I know that from the firsthand experience of growing up fatherless. 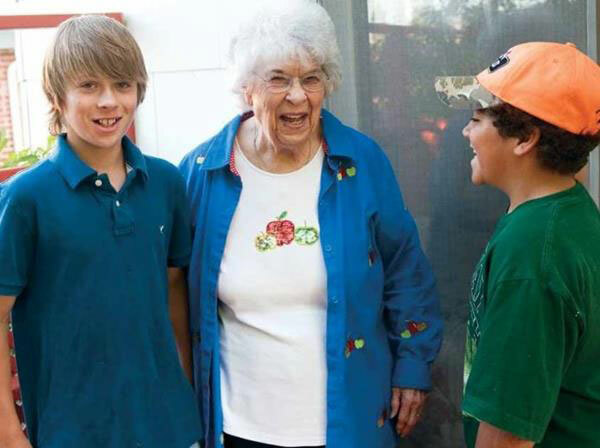 That is why our ministry helps churches to raise men that will help Field Buddies serve the widows in their church. It is why we encourage churches to obey God by helping single mothers as the new widow of our age. Let’s put away the critical heart that wishes to dismiss the never married single mother and Stand in the Gap to protect them from the evil world that seeks their destruction. Together we can stand against an evil age and declare single mothers and fatherless children under the protection of Christ through the agency of God’s people, the Church. To do anything less is to disobey the clear command of God in Scripture. I truly believe that together we can generationally transform the lives of single mother families in our communities and our country! Contact me today and stand with our Heavenly Father as a Champion of the fatherless and the widow (Isaiah 1:17).